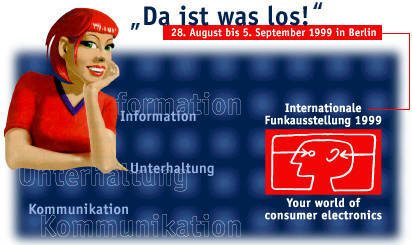 The Deutsche Telekom wanted something dramatic for the Internationale Funkausstellung 1999. You could already buy a video settop-box to receive digital and analog premium content, and they wanted to show everyone just how unbeliveable broad the selection of channels has grown in the digital age of television. I was asked mere 4 weeks before the start of the IFA if i could built something that could control up to 100 ordinary televisions individually from a computer. Well, i did it. A small circuit was attached to each television and networked with a cheap 2-wire cable. Because each television had to be removed from its (black plastic) encasing and introduced into a brushed metal steel cage, it was very easy to attach the circuits (i simply attached them to the SCART-socket with a small screw) and network them. 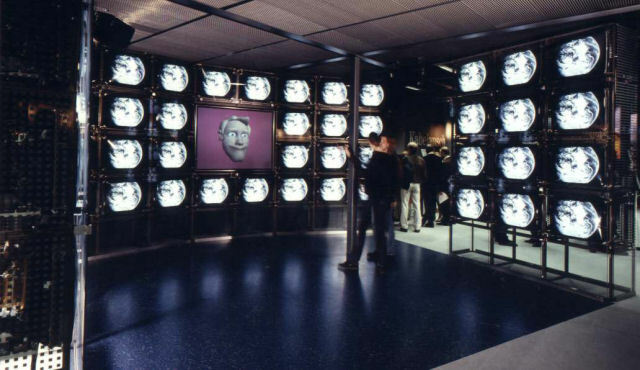 We built 4 walls with a total of 68 televisions. 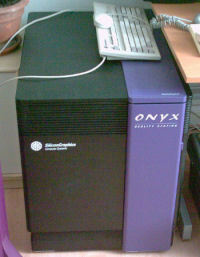 We even had a digital comic character that was rendered in realtime by a Oynx Reality Engine 2 from the (then-famous) Silicon Graphics Incorporated. The emotions of the character were read (using a helmet with numerous delicate sensors and a headtracker) from an actor behind the scenes. I had tons of other things to take care of: 1 day before the IFA opened it's doors, technicians managed to put additional 60 digital channels (only made for the IFA) into our cable network. I was presented with two brand new digital settop-box prototypes and they asked me if it's possible for me to control the from the computer that controls the TVs. Using three DINA4-papers someone in Korea had hastily FAXed to me around 2 AM, i managed to control one of the two settop-boxes. Only one because the other one overheated and died, but someone was sitting somewhere in the world in an airplane, only to bring us two additional ones. If that's not enough my hardware- and software-skills were needed for the so-called Scall-Baum. 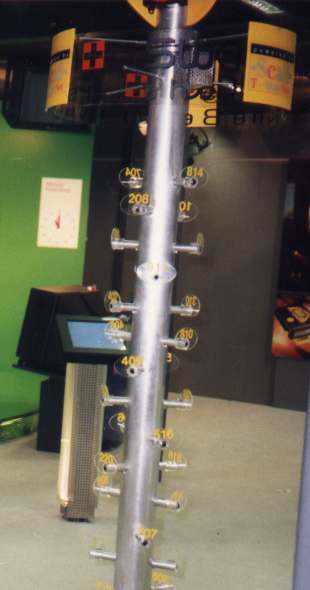 Scall was a very popular numeric paging service, end someone built a whole tree with contact-free sensors. My job was to control three scrolling LED-lines above the tree. If someone touched a number... show it's meaning, and go back to normal mode after some timeout. The protocol to program these things was not in the documentation, and i tried to reverse engineer it with a serial dongle. But seemingly it was encoded in a strange way, so i decided the outcome of any reverse engineering attempts would probably be to fruitless. So we decided to output audio. Some boss from the Deutsche Telekom recorded all sentences for us, and i used my small Amiga 600 (i had taken with me so i could distract me in my hotel room with some computer games) to play them. Worked flawlessly, but the guy who had built the tree had mixed up the numbers, so it took us from 6 AM to 7 AM (thats 2 hours before the IFA opens it's doors!) to find out which bitcombination is for which number. All i had planned worked without any flaws. But i was so extremly exhausted that i slept nearly 14 hours for each one of the following 7 days. After that my ninja-side was ready to explore Berlin by night.